The church was recorded in 1222. On 22nd May 1399 the Bishop ordained Philip ap Ieuan ap Rhys, the Rector, a Deacon. He was also granted a dispensation for one year. He was referred to as Rector again on 22nd February 1400. On 20th September 1496 Hugh ap Thomas became the Vicar, replacing Thomas William. In 1513 the church was exempted from payment of the King’s Tithes. It was valued in 1537, together with Llantood Church, at £6.13s.4d, and at the same value in 1603. On 3rd January 1624 Edward Provand was the Vicar of St. Dogmaels, Monington and Llantood – perhaps the first to hold all three parishes. In November 1662 the Vicar of the aforementioned three parishes was ejected from his post and his churches sequestrated because of his Nonconformity. In 1674 Rev. Thomas Howell was the Vicar. In 1675 Rev. Thomas was the Vicar of St. Dogmaels, Monington and Llantood. In 1681-84 the Vicar for the three churches was Rev. Owen Evans. In 1687 Rev. John Evans succeeded Rev. Owen Evans. On 24th July 1728 Rev. David Lloyd was the Vicar of Monington, St. Dogmaels and Llantood. On 1st August 1739 Rev. Morgan Gwynne was the Vicar of the three parishes. In 1769 Rev. L. Walters became the Vicar. On 30th March 1776 the new Vicar of the three churches was Rev. William Jones. A bier for use at funerals held in the Bier House is dated 1796. On 18th December 1818 Rev. John Morgan, late Rector of Monington, was buried at Llantood Church, having died aged 55. He was described as “…a truly pious man…” in the parish records. Rev. William Jones died on 31st October 1825 aged 76. He left sons Thomas Morgan Jones, William Jones, Rev. John Jones, Daniel Jones and Rev. James Jones, and a daughter called Margaretta Catherine Jones. On 1st August 1826 Rev. Henry James Vincent became the Vicar. In August 1859 a pewter flagon from the church was displayed in Cardigan. Rebuilding of the church began in 1860 to plans by Robert Jewell Withers, architect. In 1862 Rev. John Jones became the Curate. In 1865 Rev. B. Shadrach became the Curate. In 1865 Rev. Henry James Vincent died, and, on 11th September 1865, Rev. Daniel Jones became the Vicar of St. Dogmaels, Monington & Llantood. In 1866 Rev. John Williams became the Curate. On 20th August 1868 Rev. Henry Jones became the Vicar of Monington, St. Dogmaels & Llantood. On 15th March 1878 Rev. Edward Thomas Jones became the Vicar of Monington, St. Dogmaels & Llantood. In 1879 a new 3-panel oak reredos was installed, with paintings by Miss James of Plas Pantsaeson. On 3rd January 1883 the Curate, Rev. John Price Evans, married Rebecca Lloyd, daughter of the late Richard Lloyd of Panteg, St. Dogmaels. 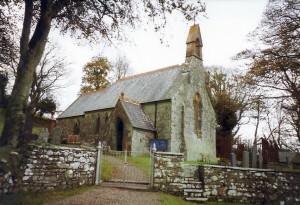 The church was refurbished in 1884. Rev. Edward Thomas Jones left in November 1884 and his successor was Rev. Thomas Jones. Rev. Thomas Jones died on 7th January 1895. In March 1895 Rev. John Myfenydd Morgan was named as the new Vicar. In 1896 Rev. T. James became the Curate. In 1899 William Edward Yerward James of Cardigan postulated that the Welsh name of the parish was derived from there having been eight freeholders in the parish at the time of its establishment. On 17th March 1899 Rev. J. Myfenydd Morgan became a member of the new “Pembrokeshire Association for the Preservation of Ancient Monuments”. In 1899 Rev. John Williams became the Curate. In 1902 Rev. T. Pugh became the Curate. In 1906 Rev. William H. Davies became the Curate. In 1907 William Phillips of Hendre, St. Dogmaels, had the church roof repaired at his own expense. In 1907 Rev. Daniel Williams became the Curate. In January 1915 the Curate, Rev. W. Edwards, announced his impending departure. On 16th November 1916 Rev J. Myfenydd Morgan died aged 64. On 24th November 1916 his replacement was announced as Rev. Jenkin Griffith Hughes (b.1877). ‘…The church of St Nicholas, rebuilt in 1884, is an edifice of stone in the Gothic style, consisting of chancel, nave, porch and a belfry containing one bell: there are 77 sittings. The registers date from the year 1784. The living is a vicarage, annexed with that of Llantood to the vicarage of St Dogmael’s, net yearly value £325, with residence, in the gift of the Bishop of St David’s and the Board of Patronage, and held since 1917 by the Rev. Jenkin Griffith Hughes B A of St David’s College, Lampeter, who resides at St Dogmael’s…’. On 20th April 1928 it was reported that a vault and the church door here had been vandalised. In 1931-40 Rev. James Lewis Davies, former Curate of Cardigan, became the Vicar of Monington & Moylegrove. At Easter 1939 there were 14 communicants. On 12th September 1952 the church saw its’ first wedding in 21 years! 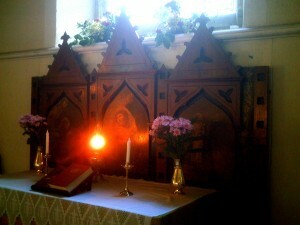 In July 1955 the church re-opened following a refit which included a new window and a new altar. The church was made a listed building in 1992. In 1998 Rev. Dorrien Davies became the Vicar and remained so in 1998-2010. He left in April 2010. In 2010 Rev. Aled Thomas became the Vicar until 2012. The church was threatened with closure in 2011, but was saved by the intervention of an anonymous benefactor. “…1860 Anglican parish church designed by R J Withers, architect of London, in tooled blue lias ashlar with slate roof and red tile cresting. Nave, chancel, N porch, SE vestry and W bellcote. Small Gothic church with cusped lancet windows, one pair to each side of nave, 2-light with quatrefoil head to chancel N, 2-light with sexfoil head to E and single lancet to S chancel. Lean-to S chancel vestry with shouldered head to W door, 2-light E window and fine chimney stack on chancel S wall, battered with three steps and with square smoke vents under hipped stone cap. N porch is gabled with roll-moulded pointed doorway and similar inner door with wrought-iron hinges. 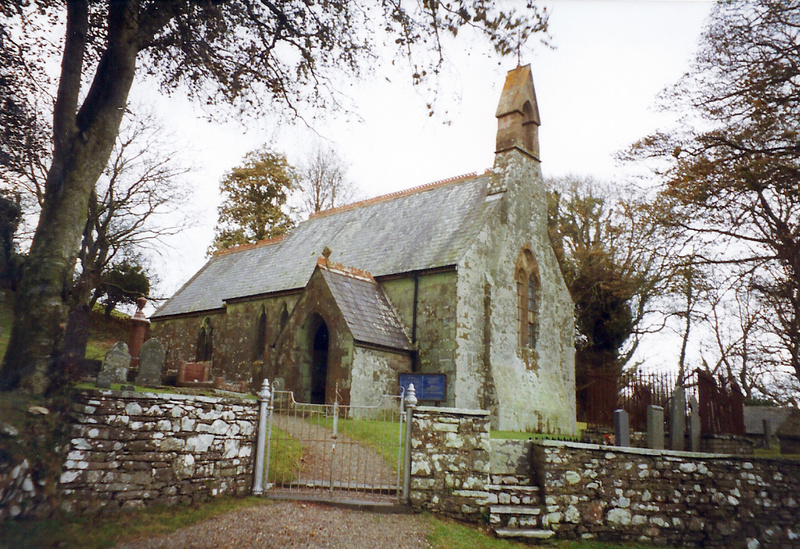 W front has projected centre, 2-light plate traceried W window with trefoil head, the projection shouldered at springing level of window and then continuing up, first battered and then straight, to base of Doulting stone bellcote; battered sides and then pointed arch with chamfered piers, coped gable and weathercock. INTERIOR – 3-bay nave roof with arch-braced collar trusses, octagonal stone font and timber pulpit. Plastered walls and chancel arch. Scissor rafter roof to chancel, timber reredos and altar rails. 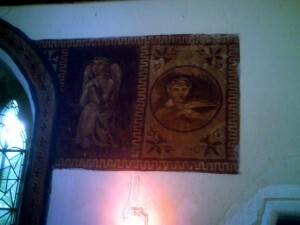 Two strips of painted decoration in tones of brown on chancel side wall, cherubs and angels. Churchyard is roughly circular with gates at NW. Iron railed enclosure for tombs of James family of Pantsaeson. Buildings of Architectural or Historic Interest – Nevern, Julian Orbach, CADW.